Lock in a great price for Chelsea House – rated 9.8 by recent guests! Sharon and Nigel were the best hosts - really fantastic, welcoming and very friendly! The location is super and breakfast superb. Our room was very comfortable and so quiet. Would stay again in a heartbeat! The hosts were great very helpful, rooms were very comfortable. The breakfast was excellent. Beautiful house, great breakfast and wonderfully friendly staff. I loved the musical decor. My room was huge and clean with a lovely sea view. Can't fault this place at all. Chelsea House is an excellent B & B situated a short walk through lovely gardens from Gylly beach. Sharon ( the host) was lovely and helped us make dinner reservations at Gylly Beach cafe, which I recommend. 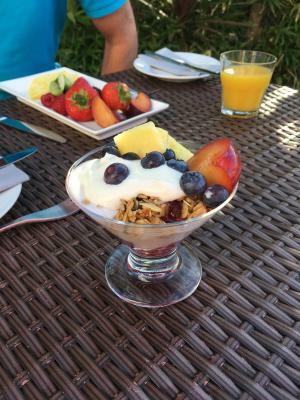 Chelsea House offers a lovely varied breakfast with tons of fruit and berries, plus compote and yoghurt and all the usual cooked fare plus a special ( avocado smash one morning and pancakes another). There is a charming lounge in the garden for guests and our room was very well appointed in an upmarket sophisticated style. Parking outside the property was easy. The location is excellent. Short walk to the beach and coastal path and also into downtown. Extremely comfortable bed, fabulous breakfast, very clean and LOVELY hostess. Fresh milk in the fridge in the room as well as home made chocolate tiffin! Chelsea House This rating is a reflection of how the property compares to the industry standard when it comes to price, facilities and services available. It's based on a self-evaluation by the property. Use this rating to help choose your stay! Chelsea House offers Bed & Breakfast accommodations in Falmouth. 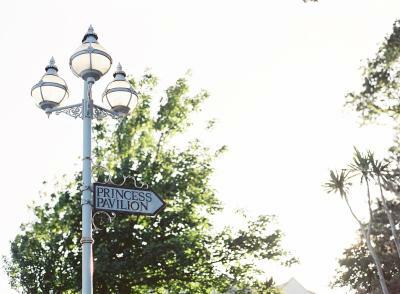 Located right next to Princess Pavilion and a 10-minute stroll from the marina, this property offers a peaceful location just 5 minutes’ walk from Gyllyngvase beach. There is free WiFi located throughout. There are 9 rooms and 2 of them are dog-friendly. Some rooms feature balconies with panoramic views overlooking the sea and beach. Each room is en-suite with a power shower and luxury toiletries. The rooms offer a Smart TV, DAB radio, and a fridge which is supplied with fresh milk and bottled water. There are also feather pillows and duvets provided. In the morning you can enjoy a Cornish breakfast with both hot and cold options including Cornish meats and hams, a selection of cheese and pastries. A Continental and Full English breakfast is also available. Popular local activities include water sports, sailing or boat trips. 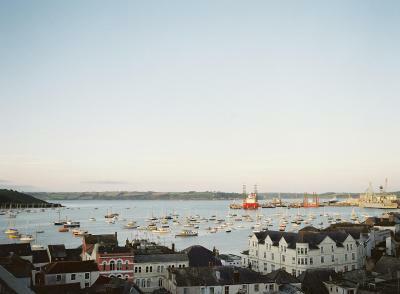 There are many boat routes to local areas including Fal Estuary, Truro or St Mawes. 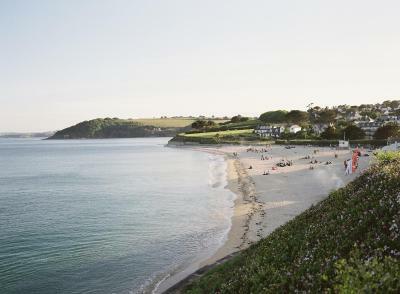 Falmouth is also popular for walking and the cliffs along the surrounding coastline provide pretty walking routes. The historic town itself is home to many restaurants, shops and bars. This is our guests' favorite part of Falmouth, according to independent reviews. 뀐 Located in the top-rated area in Falmouth, this property has an excellent location score of 9.8! When would you like to stay at Chelsea House? Dedicated to Nina Simone, this ground floor room has a bay window with a view of the sea and garden. Guests can sit and relax in 2 Ercol chairs. The room has a king-size bed, feather bedding and cotton linen. The en suite has a power shower and complimentary toiletries. There is a flat-screen smart TV, DAB radio and free WiFi access. Guests can enjoy the range of coffee, specialty teas, hot chocolate and biscuits available. The fridge is stocked with bottled water and fresh milk. Dogs are welcome in this room by prior arrangement. Dedicated to Georgie Fame, this ground-floor room has direct access to a garden terrace. It has a king-size bed, feather bedding and cotton linen. The smaller en suite has a power shower and complimentary toiletries. There is a flat-screen smart TV, DAB radio and free WiFi access. Guests can enjoy the range of coffee, specialty teas, hot chocolate and biscuits available. The fridge is stocked with bottled water and fresh milk. Please note this is a smaller private bathroom. Dogs are welcome in this room by prior arrangement. Dedicated to Freddie Mercury, this second-floor twin room has two single beds and a sloping ceiling with a large Velux roof window. It has feather bedding and cotton linen. The en suite has a power shower and complimentary toiletries. There is a flat-screen smart TV, DAB radio and free WiFi access. Guests can enjoy the range of coffee, specialty teas, hot chocolate and biscuits available. The fridge is stocked with bottled water and fresh milk. Dedicated to Bruce Springsteen, this first floor room has windows overlooking the side garden. It has a king-size bed, feather bedding and cotton linen. The en suite has a power shower and complimentary toiletries. There is a flat-screen smart TV, DAB radio and free WiFi access. Guests can enjoy the range of coffee, specialty teas, hot chocolate and biscuits available. The fridge is stocked with bottled water and fresh milk. Dedicated to Jimi Hendrix, this second-floor room has a private balcony with panoramic sea views from Pendennis Castle round to Falmouth Bay. The sloping ceiling has two Velux windows with blackout blinds, there is a double bed with feather bedding and cotton linen. The smaller en suite has a power shower and complimentary toiletries. There are slippers, DAB radio, a flat-screen TV and a range of coffee, specialty teas, hot chocolate and biscuits. The fridge is stocked with bottled water and fresh milk. Dedicated to Amy Winehouse, this bedroom has a super king-size bed and guests can sit on the chaise longue, relax and enjoy the sea view from the side bay window. This room can be set up as a double or twin room, with feather bedding and cotton linen. The smaller en suite has a power shower and complimentary toiletries. There is a flat-screen smart TV, DAB radio and a range of coffee, specialty teas, hot chocolate and biscuits. The fridge is stocked with bottled water and fresh milk. Dedicated to Rod Stewart, this spacious bedroom has bay windows with sea views. It has a super king-size bed with feather bedding and cotton linen, and a lounge area complete with coffee table, chairs and a sideboard, where guests can relax and enjoy the views. The en suite has a power shower and complimentary toiletries. There is a large smart flat-screen TV, DAB radio, range of coffee, specialty teas, hot chocolate and biscuits. The fridge comes with bottled water and fresh milk. Dedicated to David Bowie, this second-floor room has a private balcony and extensive sea views. This large room has a king-size bed with feather bedding, cotton linen and slippers. It also has a sitting area with a two-seater sofa and arm chair. There is a smart flat-screen TV, DAB radio and range of coffee, specialty teas and hot chocolate with biscuits, fridge with bottled water and fresh milk. The large en suite has a walk-in power shower and complimentary toiletries. Dedicated to Dusty Springfield, this first-floor bedroom has a king-size bed with feather bedding and cotton linen and private balcony with sea views. Guests can enjoy the views from an Ercol chair. The en suite has a shower and complimentary toiletries. Room facilities include a flat-screen smart TV, DAB radio, slippers, and range of coffee, specialty teas, hot chocolate and biscuits. The fridge comes with bottled water and fresh milk. Chelsea House is a retro-chic property offering a unique bed and breakfast experience. The property was originally built in 1908 as the home of a Dutch Packet Ship Captain. Delicious breakfast, a happy welcome, rooms with a difference and top notch service make it a 'must come and stay' destination when you visit Falmouth, Cornwall. Rooms with private balconies, fantastic views of the sea, Pendennis Castle and the south west coast. The views are never the same! 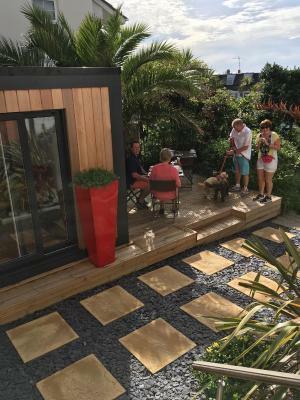 Chelsea House has a garden where you can take time to sit and relax, and we are only a short stroll to the beaches and 10 minutes to the centre of Falmouth. Chelsea House has recently undertaken an extensive and loving refurbishment that has brought back all its unique character and charm. Surroundings are warm and rooms styled to make most of individual features and fabulous sea views. A friendly and happy welcome is assured! House Rules Chelsea House takes special requests – add in the next step! Chelsea House accepts these cards and reserves the right to temporarily hold an amount prior to arrival. Please inform Chelsea House of your expected arrival time in advance. You can use the Special Requests box when booking, or contact the property directly using the contact details in your confirmation. Cannot think of a single thing that needed improving. The room was spacious, very comfortable and very well stocked with extras such as home made tiffin, milk in a jug in the fridge and a bottle of water. Plenty of towels and pillows. The property had a lovely garden room for guest use. The breakfast was superb, Plenty of varied choices and cooked well. The breakfast room was very pleasant and he staff were lovely. I cannot fault this in anyway. Loved our stay. Very nice hosts. Great style in the B and B. The room was clean comfortable and with the addition of a small terrace attached we managed to grab some March sunshine. Breakfast choice and presentation were excellent. The room was bright, and very clean. Very comfortable beds and lovely warm duvets. Hosts were friendly and helpful and breakfast was delicious with fresh ingredients. Short walk into town and beach. Breakfast was exceptional. The bed was also extra comfy. Well fitted out, sparkling clean and very comfortable. liked it all, beautiful, relaxing, friendly place to stay. breakfast was excellent. would love to stay there again. fantastic location. Everything. Clean stylish functional and in a great position. Great hosts too. We would love a room with a view next time as the location is great. Delicious breakfast and great hospitality. Beautiful, clean & very well maintained.